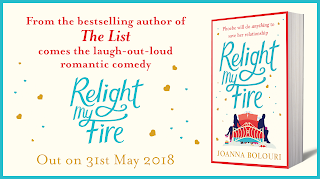 As book news goes, my excitement levels got dangerously high when I discovered that one of my all time favourite authors, Joanna Bolouri, is set to release a new book this year. 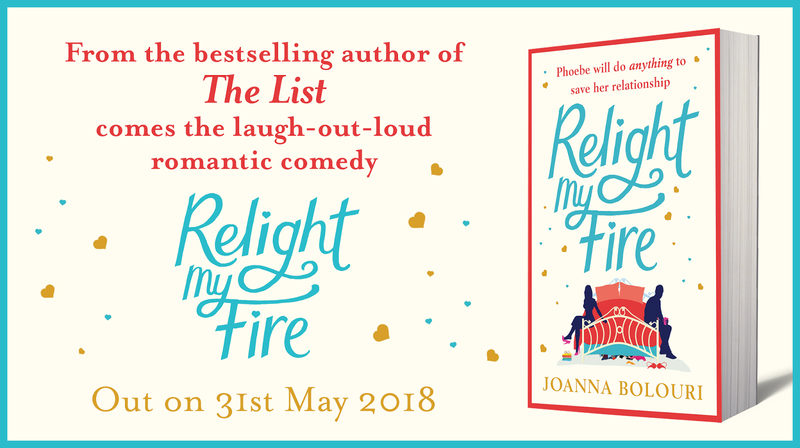 Relight my Fire is heading to our book shelves and e-readers on 31st May and it sounds fantastic. It's available to pre-order here so go on and treat yourself this Valentine's Day.